Bradley Center ticket sales just went up! 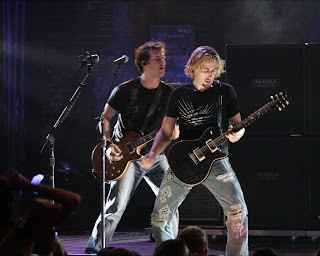 Nickelback announced that they will be coming to the Bradley Center on Friday May 21st. Fans will be filling the building ready for a rocking show! It seems like Nickelback has been around for quite some time now, I was surprised to see what a huge fan base and following they still have! People have been calling us and ordering online trying to find premium seats to this concert. I'm so happy we are carrying such great seats for the show so that their fans will be able to see an awesome performance!